Can innocence survive the machinations of a malevolent society beauty and a charismatic rake? Two weeks before her nuptials to her cold, harsh cousin, virtuous Celeste Rosington finds herself in the arms of notorious libertine, Lord Peregrine. The unexpected encounter is, at first, shocking, but as Peregrine’s charm weaves its magic, becomes a welcome distraction from Celeste’s troubles. Isn’t she already the subject of whispers due to her involvement in the mysterious disappearance of a wealthy plantation magnate? It was a role orchestrated by her demanding husband-to-be in which Celeste had failed spectacularly. Nevertheless, Celeste has no intention of sacrificing all of her scruples for a man she knows is only toying with her. One kiss from handsome, charismatic Viscount Peregrine will surely be enough to give her the strength to fulfil her marital obligations? But what if one kiss is not enough? With her reputation in the balance, Celeste must navigate the treacherous waters of envy, intrigue and deadly secrets, unaware she’s the unwitting pawn in a wicked wager between a ruthless society beauty and delicious, dissolute Lord Peregrine. Could Peregrine really be a party to such perfidious plans? Will his reckless charm be the final undoing of a young woman once respected for her virtue and piety? Or will Peregrine discover that true love is more powerful than greed and ambition in time to save Celeste from the terrible fate that otherwise awaits her? The last of the applause drifted away and for a few seconds the shrill cries of the orange sellers held sway. Rising from his ironic bow for the benefit of his companion, Lord Peregrine held back the red velvet curtain that had afforded them privacy so that Xenia could pass through and join the throng of theatregoers descending the sweeping staircase. He saw that she had fallen into conversation with a club-footed general whose more than interested eye swept appraisingly over Xenia’s abundant assets, and once again Perry felt again the familiar heating of his loins that only Xenia could inspire with a mere incendiary glance. The contours of her sack-back gown, adorned with a row of bows the length of her stomacher, recalled the more lascivious of those thoughts he’d entertained for the past decade: what it would be like to undress her, layer by layer by layer. He could only imagine how many layers there might be, but the prize would be worth the exquisite torture of restraint. He’d not revealed quite how much her proposition tonight had taken him by surprise, and the fact he’d agreed fuelled him with an odd combination of conflicting sensations: raging lust tempered by the knowledge that he’d just sunk to depths of moral depravity that might make even his uncle squirm in his grave: seduce an innocent on the eve of her nuptials. Except that Xenia maintained the young woman’s ingenuousness was a ploy. Still, Miss Rosington retained her standing in society as a paragon of virtue. What right had he to assume otherwise, just because it was convenient? He was diverted by a squeal to his left. Xenia was moving ahead, caught up by the crowd, her head bent to absorb the admiration of her club-footed general. Peregrine meanwhile found himself unable to continue, due to the fact the young woman in front of him had snagged her skirts on what appeared to be a nail or splinter protruding from one of the supporting beams. No one could move until she’d freed herself, and as Peregrine was directly behind her it was incumbent upon him to act the gentlemen and so enable the rest of the pulsing crowd to forge ahead. ‘Please be careful, sir, it’ll tear and it’s the first time I’ve worn it,’ the young woman warned as he took a handful of stiff silk in one hand. ‘It’s my finest.’ She twisted her head round to address him. As her lips parted, revealing a set of near perfect small white teeth, and her worried blue eyes bored into his, Peregrine felt a jolt of something unidentifiable plummet like a stone to the pit of his stomach. No, further than that, for without a doubt his groin was reacting with something akin to roiling hunger. And, surprisingly, with an intensity that exceeded the dull throb of ten years of wanting Xenia like a frustrated schoolboy. Close to, Miss Rosington was exquisite, her pale white and rose-blushed skin far more lustrous than when seen from a distance through opera glasses. Her powdered coiffure, dressed to fashionable heights, accentuated high, rounded cheekbones; and with growing excitement he followed the sweep of her graceful neck to a bosom that was rising and falling with surely greater rapidity than fear of what peril her gown might face. He liked to think that was so, as her candid look met his and the connection between them seemed like the sharp tug of some inner cord, forcing him forward, his hand brushing hers, nestled beneath a froth of silken furbelows, as they both reached for the undamaged silk petticoat, now released. ‘No harm done,’ he murmured as she drew herself up, her companion, the black-eyed viscount to whom she was affianced, returning to claim her, drawing her away with the barest of thanks. All over in a matter of seconds, and at what cost? For while silk skirts and dignity had escaped with minimal damage, Peregrine was the first to concede, as he watched her graceful back with pounding heart and aching groin, that a great deal of harm had indeed been done. Beverley Oakley is an Australian author who grew up in the African mountain kingdom of Lesotho, married a Norwegian bush pilot she met in Botswana’s Okavango Delta, and started writing historical romances to amuse herself in the 12 countries she’s lived as a ‘trailing spouse’ (in between working as an airborne geophysical survey operator, a teacher of English as a Second Language, and writing for her former newspaper). Her Scandalous Miss Brightwell series was nominated Best Historical Romance by the Australian Romance Readers Association. 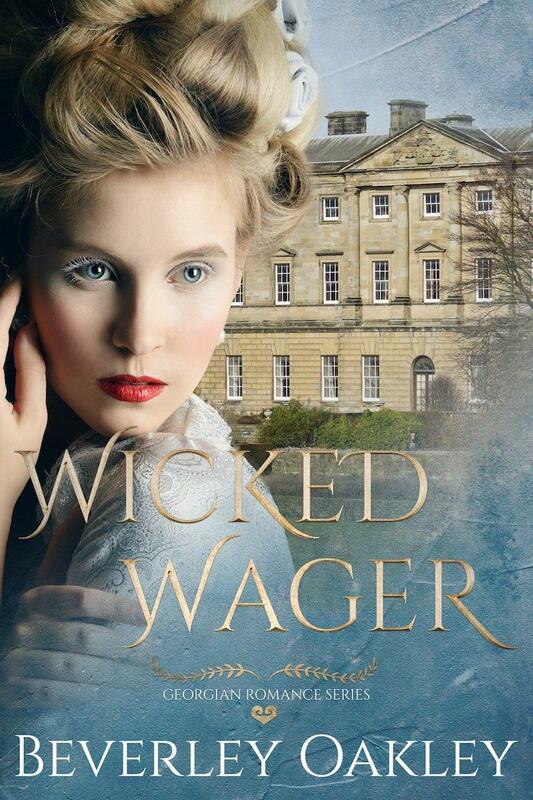 She is also the author of the popular Daughters of Sin series, a Regency-era ‘Dynasty-style’ family saga laced with intrigue and espionage. 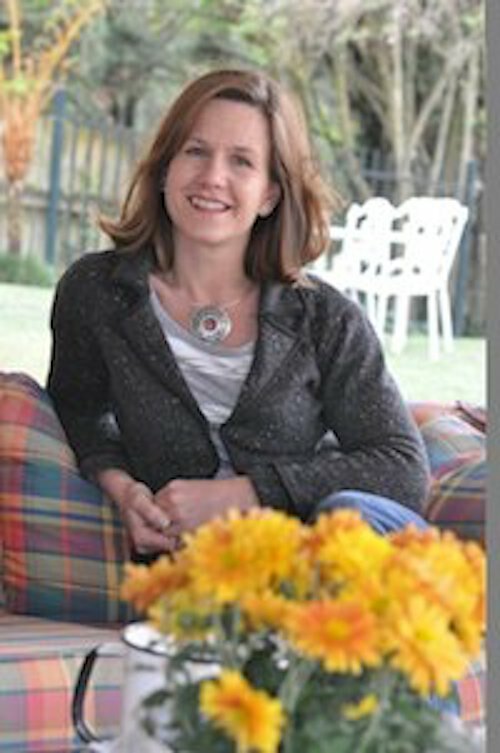 Under her real name Beverley Eikli, she writes Africa-set romantic suspense, and psychological historical romances. The Reluctant Bride won Choc-Lit’s Search for an Australian Star competition and her Regency tale of redemption The Maid of Milan was shortlisted in the Top Ten Reads of 2014 at the UK Festival of Romance. Beverley lives north of Melbourne (overlooking a fabulous Gothic lunatic asylum) with the same gorgeous Norwegian husband, two daughters and a rambunctious Rhodesian Ridgeback. This entry was posted in Uncategorized and tagged amazon, book tour, booklovers, books, giveaway, guest post, heroes, heroines, McKenna Dean, romance, writing by McKenna Dean. Bookmark the permalink.